I’m sorry if I sound repetitive, but because of all of you readers, we keep achieving new sales records. It hasn’t been easy, and it hasn’t occurred without bumps in the road along the way, but our growth is causing all the right kinds of problems! We need increasing capital, more awesome Associates, and more great people internally to make our business run smoothly. It’s tough as a project-based business to measure the sustainability of our projects. We always want to be known as the company that makes such an impact that we work ourselves out of a job by solving problems and leaving our clients in a much better place as a result of engaging our services. We are super-competitive at SQA; we don’t lose many deals to competitors, and we fight tooth and nail to hit our goals. It’s important that we create a culture where everyone is excited to grow and that new projects aren’t simply viewed as “more work to do.” Creating client partnerships where are our ambitions and cultures are aligned is also key. Money and success are great, but things can quickly go awry if people are not feeling great when they arrive at the office. Thankfully, we measure employee satisfaction at SQA and we are happy that we are growing the right way. When brainstorming topics for our 2018 calendar, I was blown away by the number of amazing products we are fortunate enough to work with on a daily basis. A drone the size of a bird that can fly through dangerous areas and allow users to “see” from a safe distance? We touch it. A company focused on a technology that will soon allow us to 3D-print organs with live enzymes? We touch it. A super-strong, lightweight material that can withstand and support a rocket landing on it? We touch it. How about a company that makes life-saving drugs for pets or allows children crippled by disease to use their limbs so they can walk again? We at SQA get to see it all, and it inspires us every day. These companies and products remind us that our work is meaningful and this empowers our people to strive to perform at our highest levels so that we don’t let these awesome organizations or their end-users down. We are driven to give it our all, and people who work best with us simply “get it.” I have always believed and been taught that you are who you hang out with, and we love hanging out with our people and our clients who do these awesome things. This year, we have been conducting what we call our “Quality Exchange” or “QX,” where we invite industry leaders from around the world to our Los Angeles headquarters to meet as a small group for a day of sharing supplier quality challenges and solutions in quality-critical environments. Our clients have been excited by the concept, and the sessions thus far have been very productive. The only problem has been aligning schedules and coordinating the best mix of people based on industry and area of focus. We had to postpone a session in September for this reason, and I hope that the upcoming sessions will proceed without any hitches. If you are interested in attending a QX session, please reach out to Gerard Pearce, who is now coordinating the effort. 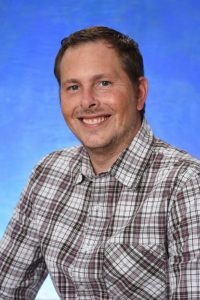 Gerard can be reached at gpearce@sqaservices.com. Our next two dates are February 2 and April 27, and there are still a few spots open if you are interested. Our Field Engineering Directors (FEDs) are SQA’s technical traveling rock stars, and they are highly sought after by three competing groups. Our clients are the primary requesters, and their constant demands are a reflection of the high regard clients have for them. This often causes a struggle to keep everyone satisfied, as our FEDs can be pulled into assignments all around the world. Our FEDs are also needed at SQA headquarters. Prospective clients often need help scoping programs, our team in Associate Development can always use help with technical interviews, and our Program Managers look to FEDs to “shadow” newer Associates. In addition, our FEDs need each other to collaborate on their respective assignments. Sometimes, they simply want a different perspective for a technical challenge or someone to back them up while they are on vacation. We all love the demand, but it is a challenge to maintain the balance. Our FED team has grown considerably over the last 18 months, and we don’t see signs of things slowing down. However, we also try to practice what we preach by hiring FEDs on a scalable basis, with the commensurate skill sets required and in the desired geographic regions. If you know someone who has what it takes to be a FED, please let our ADM team know. Our HQ lights up every time an Associate stops by to say hello. We try our best to reach out to Associates as we travel, but schedules sometimes simply are not able to align. Our Associates are amazing, and many have incredible strategic ideas to grow our business, take a project to the next level, refer us to other amazing Associates, etc. These types of conversations are more difficult to have when the parties aren’t face-to-face. When will we be in Poughkeepsie, NY again or Melbourne, FL next? Some of our best people live in remote areas, and others live in areas where manufacturing companies aren’t as prevalent, so it’s difficult. Please make our day and stop by the next time you are in Los Angeles. We will roll out the red carpet, grab lunch with you, and listen to how you think we can maintain our crazy growth! As always, thanks for reading and please reach out to me with any and all comments at mmckay@sqaservices.com. 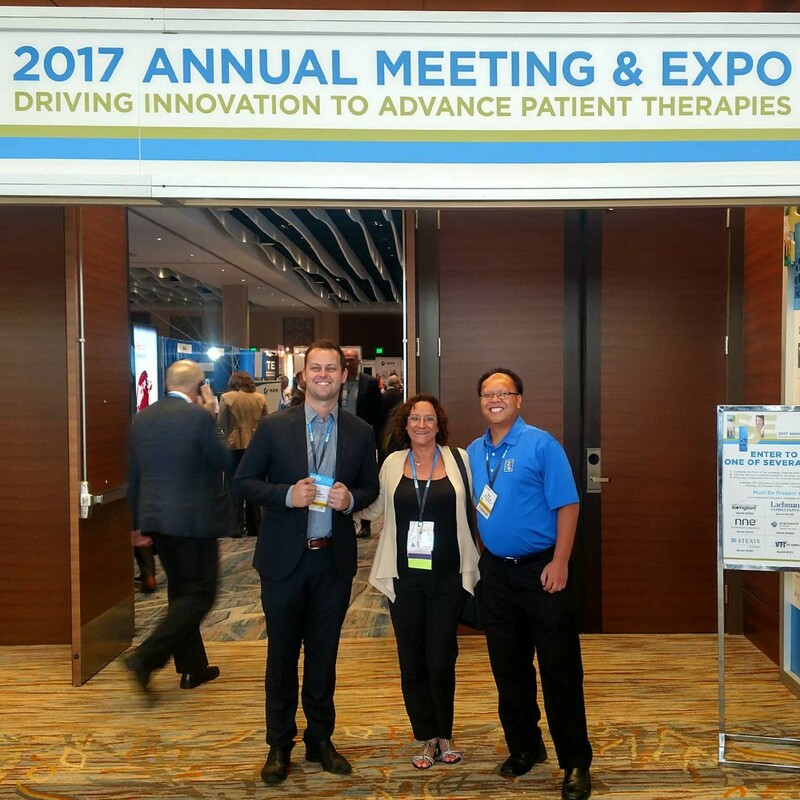 In early October, Team SQA attended the American Medical Device (AMD) Summit in Chicago, IL. The AMD Summit provided opportunities for us to attend sessions and network with other leaders in quality. We are looking forward to exhibiting again next year! Fun Fact: At Amazon, PowerPoint presentations in meetings are substituted for a silent 30-minute reading session about the topic at hand to encourage critical thinking. Team SQA learned many fascinating facts when we toured the Amazon Fulfillment in Ontario, CA with ISM-LA last month! The ISPE Annual Meeting was held during the last week of October in San Diego, CA. Members from our Associate Development and Business Development teams exhibited at the meeting. Team SQA is looking forward to attending next year’s meeting in Philadelphia, PA. 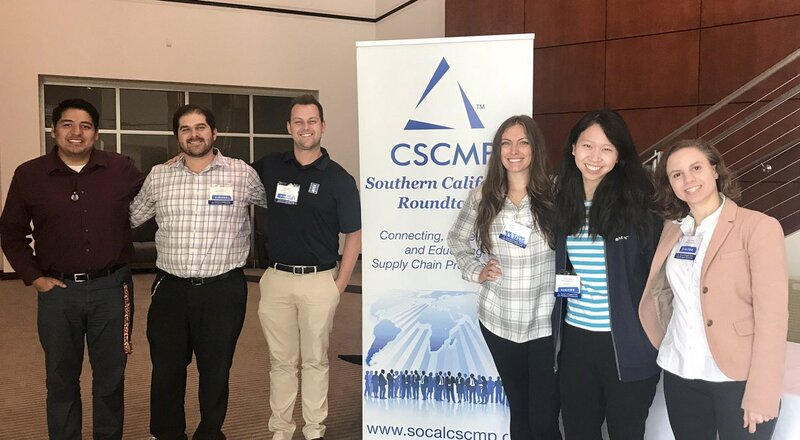 Team SQA had a great time at the CSCMP Southern California Roundtable tour of Hydraflow on October 19th! We learned more about techniques including Improvement Kata and Biomimicry as they relate to manufacturing and quality in engineered Aerospace and Defense Systems components. The upcoming 2018 Quality Exchanges will be in Los Angeles on February 1-2, and April 26-27. Look out for posts with #SQAQX for updates and more information. I recently held Word and Excel Professional Development sessions for Team SQA at both headquarters and Technical Center 25 (TC25). I first had the idea to hold these sessions after compiling various keyboard shortcuts and taking online Lynda courses in my spare time. I realized that this information could potentially be useful to others, and I figured that it was worth sharing with anyone who might be interested. 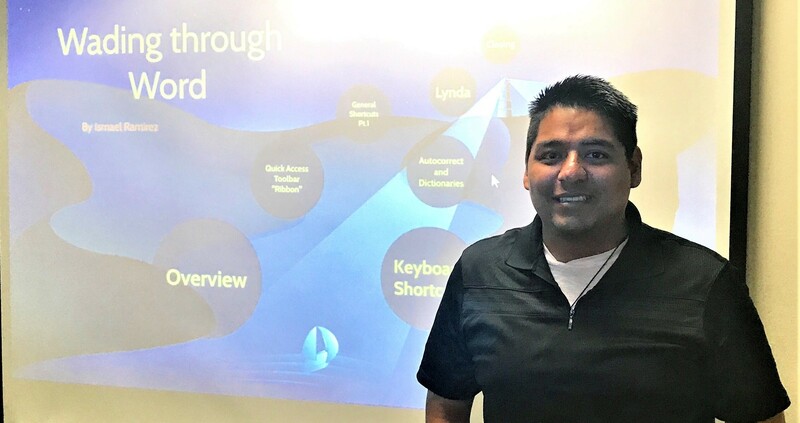 I wanted to show SQA some of the many helpful tricks and shortcuts that Word and Excel offer, and my goal was to have everyone learn at least one new thing from each presentation. If these presentations have helped SQAers work faster when using Word and Excel, then I feel like my mission was accomplished. I am excited to see what other topics will be covered in future Professional Development sessions! I have been auditing and supporting special programs for SQA Services for the 10 years since I retired in 2007. Prior to retirement, 30 plus years of my career included managing quality in the manufacturing and assembly of printed circuits boards, as well as several years in the manufacturing of acoustic equipment. Performing audits assigned to me by SQA has afforded me the opportunity to experience and learn about many different industries other than electronics. I have really enjoyed working and interfacing with the SQA project management team and content review personnel. Everyone at SQA has been and continues to be extremely friendly and helpful. My certifications include ISO 9001 and 13485. Life outside of auditing consists of spending time with my four grandchildren, three boys and one girl, who do their best to keep me young. If not attending their baseball games and gymnastics competitions, we spend time together golfing, fishing, and of course shopping with my one teenaged granddaughter. I am thrilled to be rejoining the SQA family to head a special project focused on recruiting military veterans, transitioning service members, former government employees, and their spouses. In 2005, after serving on active duty for 10 years in the Air Force, SQA Services became my first home in the civilian world. As a veteran myself, I know how difficult it is to make the transition and how hard it can be to translate your specialized military skills into the civilian workforce. 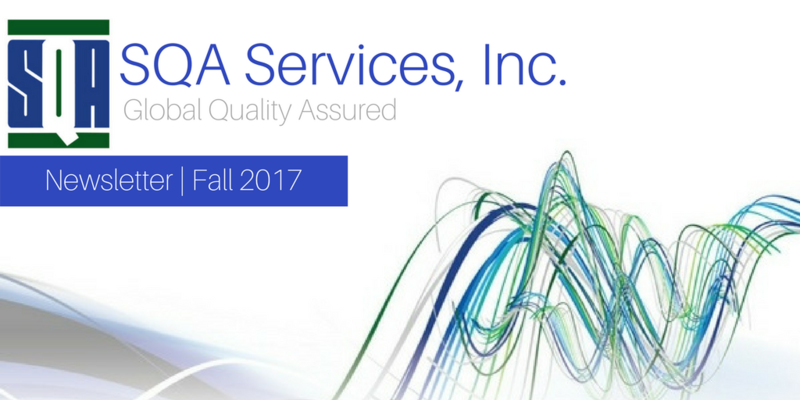 I could not be more proud to lead SQA’s proactive initiative to help other transitioning veterans enter the Quality Management industry. My wife, Lisa, is also a retired military officer, and we’ve served in Japan, Korea, the Philippines, and China, in addition to our many stateside assignments with our four children. In the years since I last worked for SQA, I went back to work for the Federal government as a personnel specialist at U.S. Embassy Manila in the Philippines and U.S. Consulate Hong Kong in China. In my spare time, I enjoy traveling with my family around the country and around the world. Some of my favorite trips include visiting Deep Creek Lake, MD to see the mid-Atlantic fall foliage, and visiting Bagan, Myanmar shortly after the country reopened its borders in 2014. Our Marketing team is working hard on the 2018 quality calendar with 12 new compelling quality themes. Keep an eye out in late December for your copy! Please reach out if you need additional copies, and we’ll be happy to send more your way.